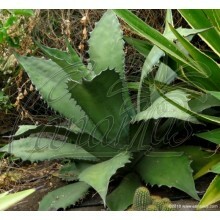 Aechmea nudicaulis Manchas Negras is a tubular plant with bright green leaves with black blotches and small spines. 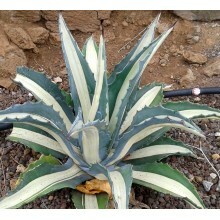 It is probably one of the wild forms from SE Brazil. 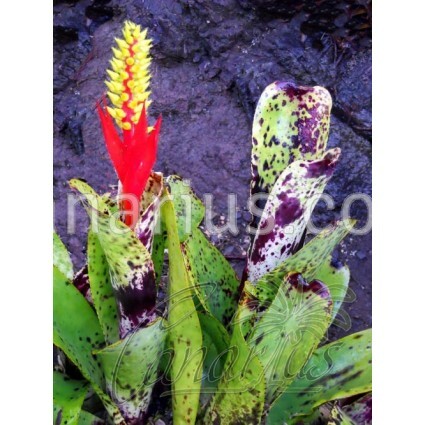 It produces beautiful, long lasting blooms consist of red and yellow upright spikes appearing in spring or summer. 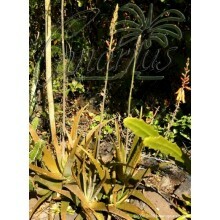 Aechmea nudicaulis is a tough plant for harsh conditions, including direct sun, wind and short light frosts. 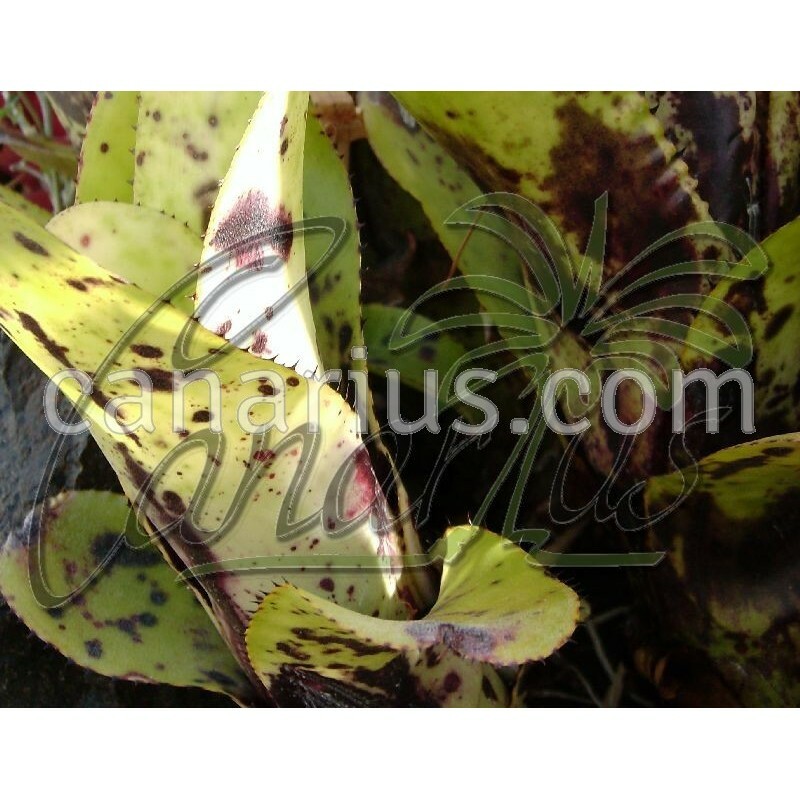 It is an excellent bromeliad for warm Mediterranean climates. 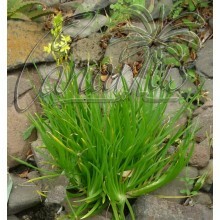 Thanks to its small and strong root system, it can be grown on rocks, soil or just as an epiphyte. 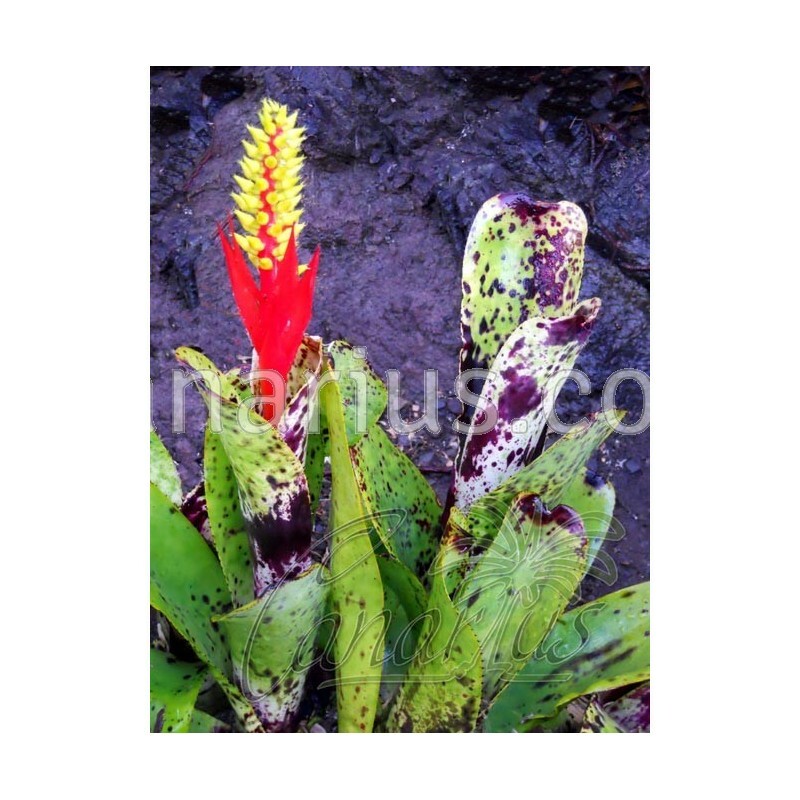 Clumps of Aechmea nudicaulis look spectacular if placed on trees, as the bright flowers will be seen from a distance. 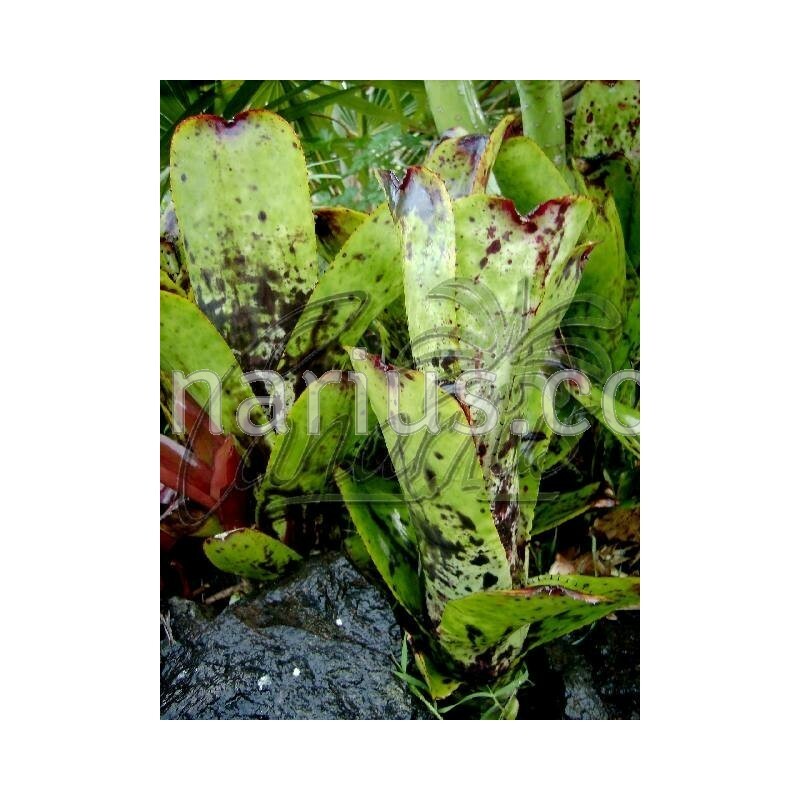 We offer one large pup of Aechmea nudicaulis Manchas Negras , of 25-40 cm, able to flower in one year. We ship it worldwide.